Successful companies never stop marketing, which is why we build ongoing plans to help sustain and bolster financial businesses. A company’s marketing strategy combines all of its marketing goals into one comprehensive plan. Gate 39 Media can work with you to develop an ongoing marketing strategy to promote the products and services of your firm based on your specific goals as well as show your internal team “how to fish” (in the marketing sense, of course). Using research and industry insight we will implement, monitor, report on, and adjust a mix of tactics in order to generate the most leads for your business. The marketing strategy is the foundation of a long-term (and measurable) inbound marketing methodology. Our Marketing Services are rooted in the Inbound Marketing methodology. Inbound marketing is about creating valuable experiences and content that impact your business. When a prospect is attracted, you engage with them, provide value through content marketing, convert them to a customer, and then delight them by continuing to provide value. The customer will then participate in your growth by becoming an advocate of your business. The traditional top-down marketing funnel has evolved into a momentum-based inbound marketing flywheel. The flywheel model works well for financial service firms. Firms must compete through ongoing marketing by creating quality content production, producing content such as market reports, educational articles, e-books, and media appearances. Keeping the “delight” stage going is very important as most financial services are extremely competitive with many customers perceiving limited differences in providers and pricing. A differentiated edge can be created using content and the “delight” stage provides customers with information, tools, and services that make it easier to conduct more transactions as well as solidify a client’s loyalty through great experiences. Gate 39 Media can provide custom content marketing services as part of your ongoing marketing strategy. We’ll help create, distribute, and promote content to help engage your prospects and generate leads. Content is the fuel in the marketing engine – a necessary component of a marketing strategy. Quality content is what drives visitors to a website. It is what makes a website ‘sticky’, keeps visitors from leaving, and makes visitors return. Your company’s unique value and subject matter expertise are communicated through your content. Regularly posting quality content is also part and parcel to boosting your website’s search engine ranking (SEO). We can help develop a plan to drive visitors, views, shares, likes, follows – and ultimately – generate leads. From offers, checklists, guides, and white papers, to long-term marketing campaigns that integrate within a CRM, Gate 39 Media has helped financial industry firms bolster their lead generation efforts through measurable, elegantly designed campaigns and promotions. A promotional campaign is a planned sequence of messages with a specific objective delivered to a target audience over a period of time. Campaigns typically encompass a variety of promotional marketing formats, including advertising, public relations, email marketing, social media, and personal selling. We can help develop measurable custom campaigns and automated drip campaigns within your CRM to generate sales leads and boost conversion rates. Ready To Fuel Your Marketing Engine? Through an extensive audit, we will define key offers, content, and promotional channels, either refreshing existing offers or creating new ones. We will blueprint an activities calendar and marketing playbook for the creation, execution, and management of your lead generating marketing campaigns. Gate 39 Media’s account manager and team of graphic and website designers, content specialists, and Google experts will collaboratively develop and implement your landing pages, forms, graphics, content, and advertising assets so that your campaigns attract and generate leads. Utilizing multiple marketing channels to help promote your offers and content, our team will identify opportunities for online distribution – from free social media channels, news and publishing sites to paid distribution, PR, Google AdWords and retargeting campaigns. 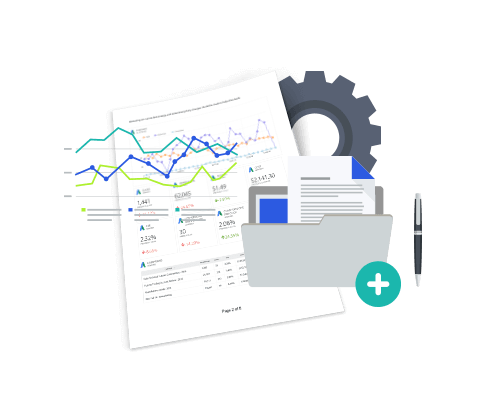 We set up tools to measure and report through monthly marketing scorecards which track KPIs such as growth in web traffic, referrals, newsletter sign-ups, and leads generated. Our scorecards are simple to read and provide a clear method for viewing and evaluating progress. Why should I rely on Gate 39 Media to help with my ongoing marketing? Gate 39 Media’s entire team draws upon their deep specialized financial industry experience in every component of every project. We have earned a reputation for adding unique value through ideas, content, design, technology, process, and marketing specifically created for the financial space. How can Gate 39 Media customize an ongoing marketing plan for me? We will embark on a discovery call with you where we will conduct a deep dive to understand your key targets, market positioning, differentiation, assets, and the goals you are seeking to achieve. This discovery call will allow us to create a custom scope of work that outlines a quarterly plan and a custom quote for you based on your specific needs. Can you make suggestions on marketing systems and tools? Absolutely. Our knowledgeable team can suggest marketing tools and systems to support your marketing goals; From customer relationship management systems and sales pipelines, to email clients, form capture, newsletter development, APIs, subscription-based processes, and more — Gate 39 Media can review your goals and suggest the best in class marketing tools to meet your needs. Will I need to be actively involved in my ongoing marketing? Yes! As an extension to your marketing team, you must take an active role in collaborating and communicating with your Gate 39 Media team if we’re to provide successful results for you. With a plan, regular communication, weekly touch base calls, and marketing scorecard reporting, our goal is to be consistent, hit on target dates and tasks and ensure that you have full transparency and provide approvals every step of the way. How long is an ongoing marketing retainer contract? Our contracts are quarterly. A 3-month term allows us to create a campaign foundation for the implementation, management and measurement of an initial campaign set. Because they see results, many of our ongoing retainer clients opt to have their quarterly contracts auto-renew and have been with us for years. How much does an ongoing marketing retainer cost? It depends on the scope of marketing you’d like to see executed each month. For some, this means one campaign per month, for others it means much more. After a discovery call with our team, we will put together a custom quote for you based on the scope of your needs. Marketing retainer services start at $3,500 per month. Effective marketing takes time and effective lead generation is a marathon, not a sprint. The hardest part for any client is consistency and sticking to a plan without becoming too impatient. Once an initial campaign is set up and begins to generate measurable results, subsequent campaign efforts and content marketing becomes cumulative and iterative. We establish a repeatable proven process that can be reviewed monthly for areas of optimization. How do you report on marketing progress? Each month Gate 39 Media will deliver to you an easy to understand marketing scorecard that reports on key performance indicators such as website leads and campaign leads generated, website traffic, Google Analytics metrics, AdWords and retargeting performance and costs, followers and social engagement, and more. Each scorecard shows metrics that deliver against your goal targets, month over month performance, areas of improvement, and next steps for iterating new campaigns and optimizing existing ones. The Gate 39 Media team is intimately familiar with the unique rules and regulations attached to marketing language in the financial space. It is only after content or assets receive approval from your compliance department, NFA, FINRA, or SEC that we move forward with publishing. Every graphic and piece of content must receive approval before we put it to work in your campaign. Download our Inbound Marketing Campaign Checklist for a practical road map to campaign launch! Let’s discuss how we can help generate leads and visibility through a strategic inbound marketing plan.